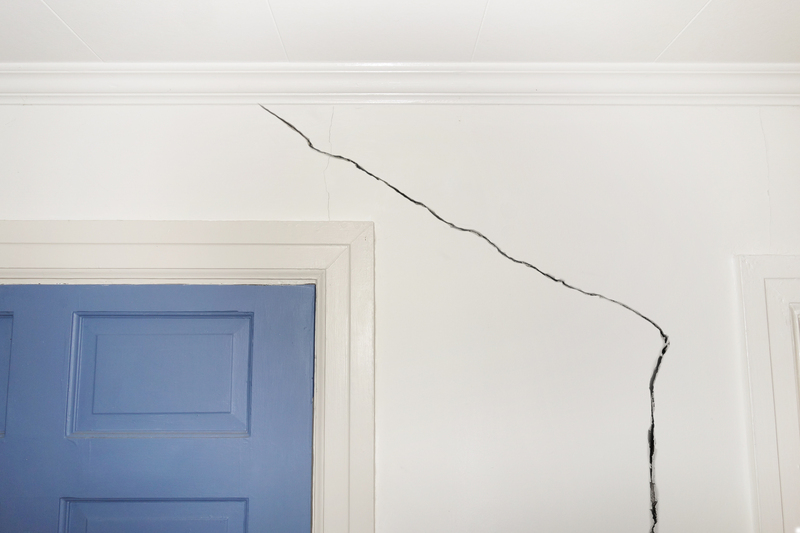 Foundation damage is something that most people have dealt with before. It is an extremely unfortunate situation, and can be hard to detect unless you are outwardly seeking it out. There are a number of factors involved when discussing the cause of foundation damage, but the most common factor is most certainly the elements. Excess water and drastic changes in weather can warp and affect the home’s ability to stand strong on its settlement. In the state of Maryland, where many towns reside alongside the Chesapeake Bay, many instances of foundation damage occur on a constant basis. On top of that, the subtropical climate within the state allows for heavy rainfall in the spring and summer months, allowing for water to seep into the foundation of your home. The community of West River, Maryland is no exception. Located in Anne Arundel County, West River has experienced problems with foundation damage in the past. Because of Maryland’s location and climate, foundation repair in West River is an absolute necessity! If you believe that your West River home may have foundation damage, here are a few things you can do on your own in order to determine if you need professional assistance. Having improper water drainage is one of the leading causes for foundation repair in West River. Soil around the home will expand during wet spells and contract during dry ones, resulting in unnatural soil shifting. This process can put tremendous pressure on the underlying foundation of the home. On top of being the major reason for foundation repair in West River, improper water drainage is also a sign that foundation failure has already taken place. 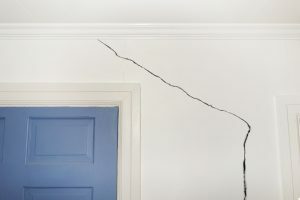 Cracks that are present in the foundation will allow water to seep down into lower levels of the soil, resulting in excessive moisture. Having water damage requires immediate attention. As a homeowner, you can check if your West River home is in danger by inspecting the soil around your property. Check to see if the soil is unnaturally wet, assuming that no rainfall had recently occurred, or if it’s unusually dry. Water damage may also be invisible to us. In order to identify any invisible leaks, shut off all water-based appliances, check the water meter and record the exact readout. After waiting six to twelve hours, check your water meter again to see if anything changed. If there is a change, this may mean that a leak exists behind the wall or underneath the floor of your home. Issues that have originated in the foundation can travel to the upper levels of your West River home. These upper level issues will usually come in the form of sagging floors or warped ceilings. Exposed gaps where the interior walls are supposed to meet with each floor and ceiling is also a clear sign of foundation damage to the home. Using a level tool, you can verify whether or not the slope is consistent on ech floor and ceiling. If a level tool is not accessible, you can use a tennis ball to examine foundation problems. When placing a tennis ball in random locations on every floor, the ball should never move. If it does foundation repair in West River is needed. Having foundation damage can be extremely overwhelming. However, you need to act upon this problem sooner rather than later. If you’re in need of foundation repair in West River, contact our reputable foundation repair company for all of your needs. Having worked in the Maryland area for nearly 30 years, we understand the foundation repair process and will guide you through every step of the process.